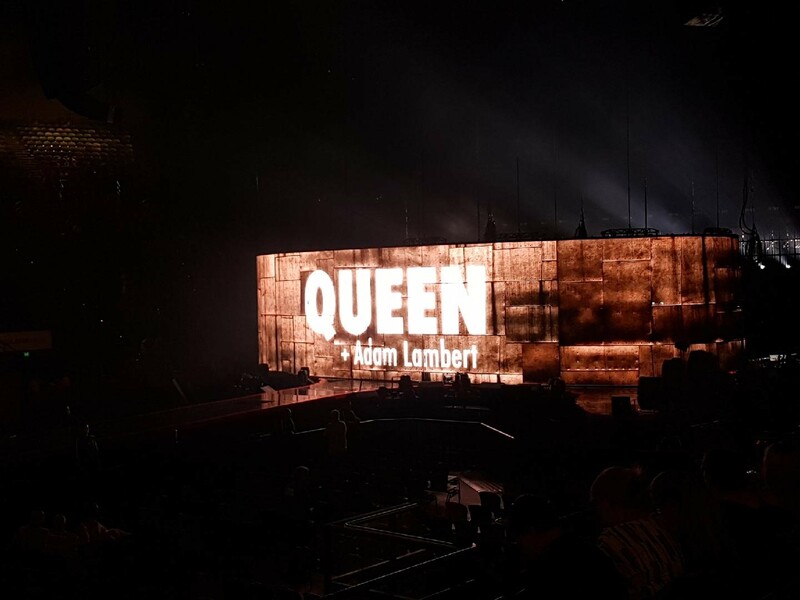 Melbourne, AUSTRALIA – When Queen and Adam Lambert came to my town, I got to experience the concert of a lifetime and the magic of seeing Queen live. I was a bit concerned about my own knowledge of Queen songs when I didn’t know the first few tunes. Thankfully, that didn’t last long, and they got into the classics soon after. There was a humorously Aussie touch about halfway through the show, which I found quite amusing. At regular intervals, two of the trio would go off stage and have a break while the third remained on stage. 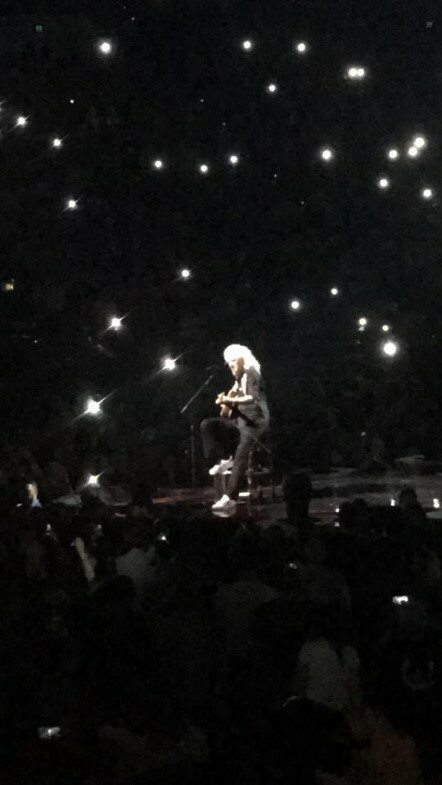 In the first one of these for the night, Adam Lambert, who is touring with the band, and drummer Roger Taylor went off and had a break, so it was up to guitarist Brian May to entertain the crowd for a while. There was a significant homage to the late lead singer of Queen, Freddie Mercury. Although he died 27 years ago, the show made sure he was not forgotten. There was plenty of footage of Freddie and he was very much a presence even though he was not there physically. Another creation that was very much present was an animated monster like creature. I am not quite sure how to describe it, but it was present right from the get go, when it appeared to break through the wall projected onto the screens. 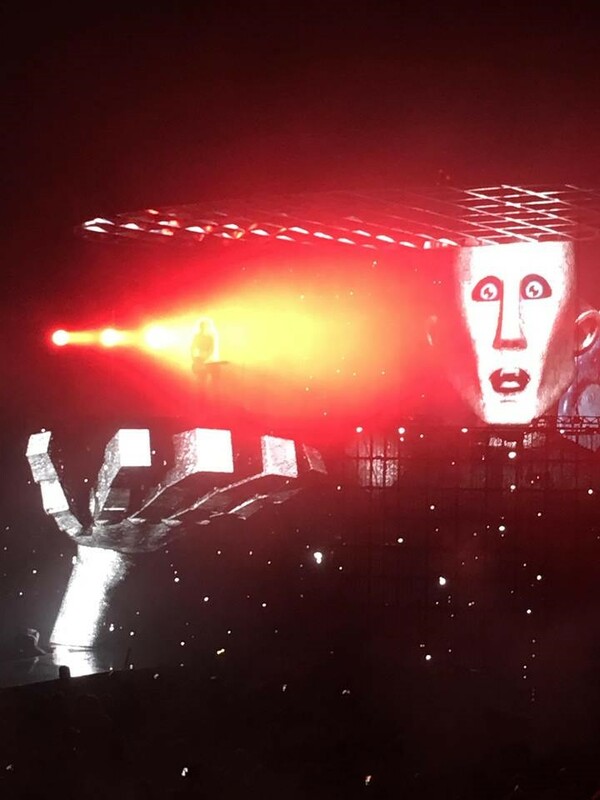 It popped up quite a few times on the background animations, and even popped up out of the ground as a 3D head at one point, with Adam Lambert on top. Fortunately I was not the only one that felt that it was a bit creepy, but also it reminded me of something I would expect to see at a Pink Floyd concert. There were very few negatives about the concert, but one was that the show did not start on time because the crew were revving up the audience with the Mexican Wave. This was annoying because that was not what I came to see, and the music was going to rev me up anyway. Before the show, I was not sure how I was going to react to Adam Lambert singing Queen’s songs. I am very much used to hearing Freddie Mercury’s voice in Queen songs and have never heard Lambert sing before, but in hindsight I had nothing to fear. Lambert fit into the role perfectly. His voice suited the songs and he had the charisma to go with the role. Although he will never be Freddie – and he acknowledged that in the show – he was certainly a worthy replacement. Alyce Collett is a Senior Reporter for Youth Journalism International.